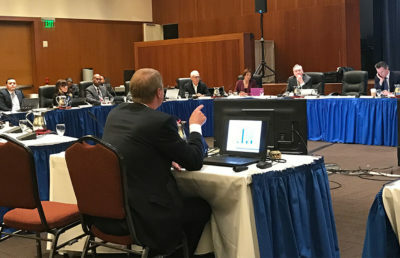 The UC Board of Regents is scheduled to vote on a proposed student tuition increase at its meeting next week. The proposal, if approved, would increase tuition for the 2018-19 academic year by 2.5 percent. 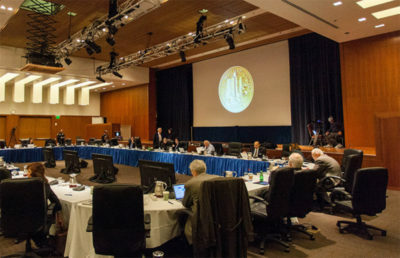 UC regents have considered the tuition increase since September. The proposed tuition hike amounts to $348 per year with additional student expenses of $662, adjusted for inflation. The meeting to vote on the proposal will take place Jan. 24- 25 at UCSF. “The campuses have asked for this increase because they need it at a time when California undergraduate enrollment is at an all-time high,” UC Office of the President spokesperson Claire Doan said in an email. According to UC Student Regent Paul Monge, this will be the second proposal in a row for a 2.5 percent tuition increase. Monge added that these proposals demonstrate the need for a long-term adjustment in tuition rather than annual tuition adjustments. 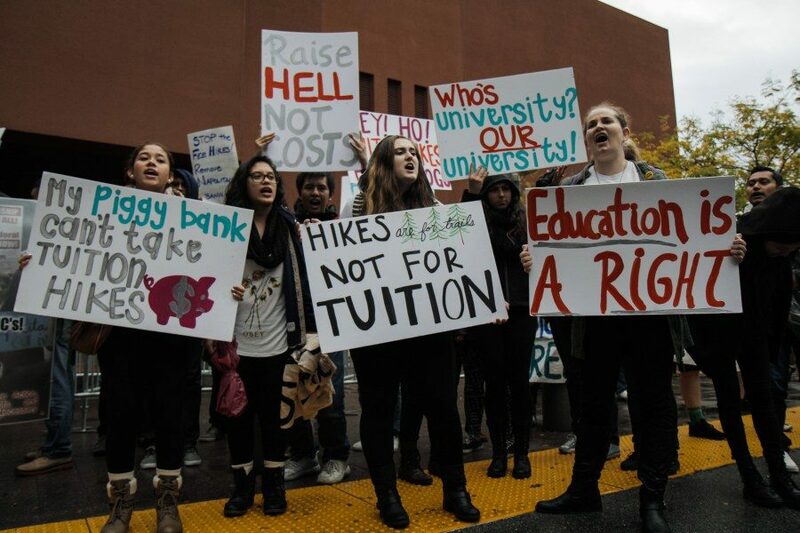 The student-led nonprofit organization Rise California created a petition opposing the proposed tuition increase. 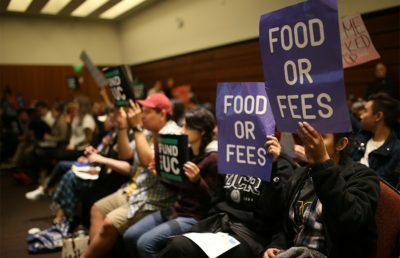 “As UC students, we demand that the Regents stop the tuition hike, and that the California legislature fully fund the UC system,” the petition states. According to Doan, the UC system is receiving less funding than anticipated from Gov. Jerry Brown’s budget proposal. The proposed increase in tuition, however, correlates roughly with inflation rates, Doan said. She added that most in-state students will not have to pay out of pocket for the proposed increase in tuition because of financial aid. “Additional revenues will go toward maintaining UC’s academic excellence through more faculty, additional courses, better technology, improved student services and other campus-tailored priorities,” Doan said in an email. Monge said next week’s scheduled vote is premature, as the board is still in conversation with the state about the governor’s proposed budget for 2018. Students have expressed concerns over the board’s decision to hold the vote during the January meeting. “Scheduling the vote on the same day (so that) many of our ex officio regents, often the strongest opponents of tuition increases, will not be present, is actively silencing dissent on the board,” ASUC External Affairs Vice President Rigel Robinson said in an email. Monge said the board should postpone this “important” vote until March. He added, however, that the vote may still occur next week. According to Robinson, California only needs $69 million to buy out the proposed tuition increase. He added that maintaining a flat tuition would result in about $20 million in Cal Grant savings. Robinson also urged the UC to pressure the California State Legislature and the governor’s office to propose a budget that better funds the UC system. “If the UC and students work together to demand a better budget, this is entirely achievable,” Robinson said in his email. A previous version of this article incorrectly stated that the UC Berkeley student group Rising Immigrant Scholars through Education created the petition against tuition hikes. In fact, the statewide student coalition Rise California created the petition.